A Reference Point is used to describe the location of an object. An object can be referred through many reference points. Origin – The reference point that is used to describe the location of an object is called Origin. For Example, a new restaurant is opening shortly at a distance of 5 km north from my house. Here, the house is the reference point that is used for describing where the restaurant is located. 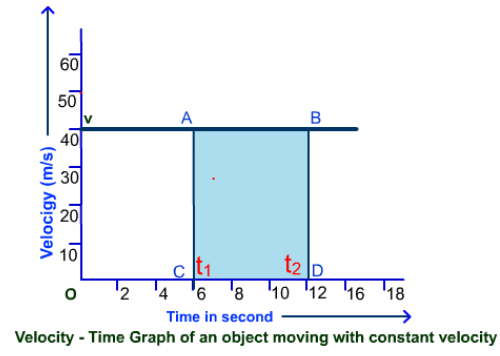 If the location of an object changes with time the object is said to be in motion. 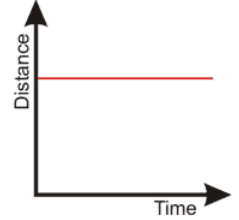 Distance – The distance covered by an object is described as the total path length covered by an object between two endpoints. Distance is a numerical quantity. We do not mention the direction in which an object is travelling while mentioning about the distance covered by that object. According to the figure 1 given above, if an object moves from point O to point A then total distance travelled by the object is given as 60 km. Displacement – The shortest possible distance between the initial and final position of an object is called Displacement. Consider the figure 1 given above, here the shortest distance between O and A is 60 km only. Hence, displacement is 60 km. Displacement depends upon the direction in which the object is travelling. Displacement is denoted by Δx. Zero Displacement – When the first and last positions of an object are same, the displacement is zero. For Example, consider the diagrams given below. Displacement at point A = 0 because the shortest distance from A to A is zero. A negative sign indicates opposite direction here. What are Scalar and Vector Quantities? A scalar quantity describes a magnitude or a numerical value. A vector quantity describes the magnitude as well as the direction. Hence, distance is a scalar quantity while displacement is a vector quantity. When an object travels equal distances in equal intervals of time the object is said to have a uniform motion. When an object travels unequal distances in equal intervals of time the object is said to have a non-uniform motion. 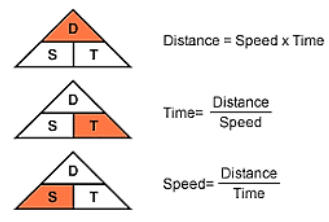 Speed of an object is defined as the distance traveled by the object per unit time. Average Speed – If the motion of the object is non-uniform then we calculate the average speed to signify the rate of motion of that object. 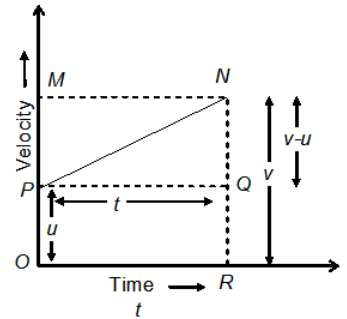 To describe the rate of motion in a direction the term velocity is used. It is defined as the speed of an object in a particular direction. What are instantaneous speed and instantaneous velocity? The magnitude of speed or velocity at a particular instance of time is called Instantaneous Speed or Velocity. 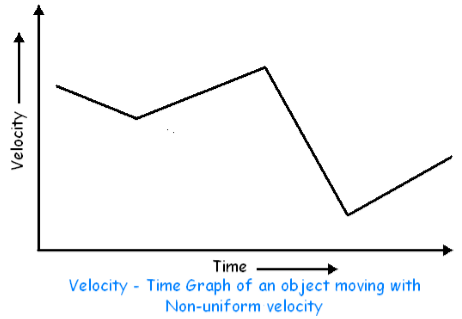 Uniform Motion – In case of uniform motion the velocity of an object remains constant with change in time. Hence, the rate of change of velocity is said to be zero. 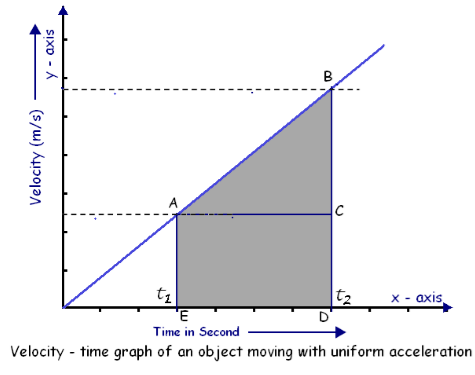 Non-uniform Motion – In case of non-uniform motion the velocity of an object changes with time. This rate of change of velocity per unit time is called Acceleration. Acceleration is also a vector quantity. The direction of acceleration is the same if the velocity is increasing in the same direction. Such acceleration is called Positive Acceleration. 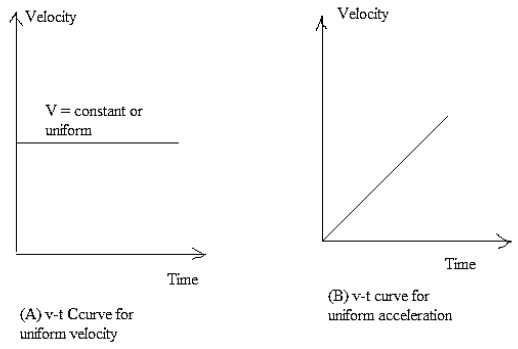 The direction of acceleration becomes opposite as that of velocity if velocity is decreasing in a direction. Such acceleration is called Negative Acceleration. It represents a change in position of the object with respect to time. 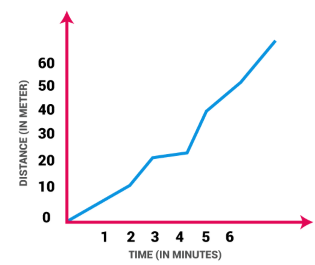 Consider the graph given below. 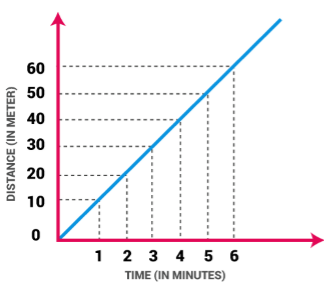 The area under the graph gives the distance traveled between a certain interval of time. Hence, if we want to find out the distance traveled between time interval t1 and t2, we need to calculate the area enclosed by the rectangle ABCD where area (ABCD) = AB * AC. 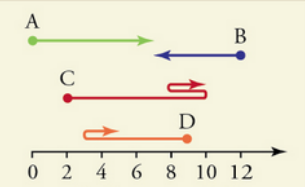 Similarly, to calculate distance traveled in a time interval in case of uniform acceleration, we need to find out the area under the graph, as shown in the figure below. To calculate the distance between time intervals t1 and t2 we need to find out area represented by ABED. Study the graph above. 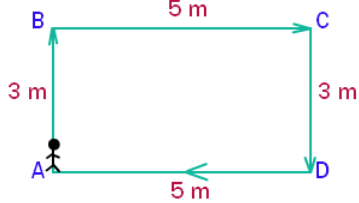 The line segment PN shows the relation between velocity and time. 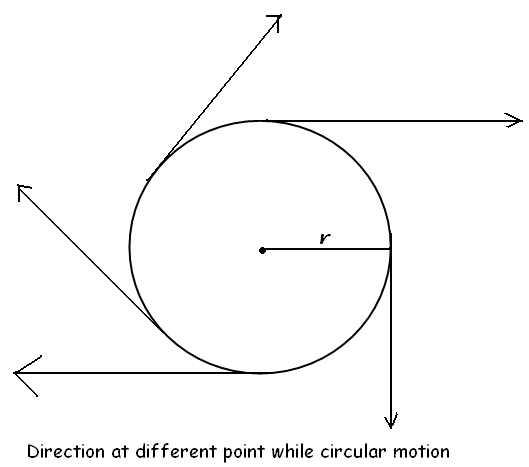 If an object moves in a constant velocity along a circular path, the change in velocity occurs due to the change in direction. Therefore, this is an accelerated motion. Consider the figure given below and observe how directions of an object vary at different locations on a circular path. Uniform Circular Motion – When an object travels in a circular path at a uniform speed the object is said to have a uniform circular motion.